Active spring, summer and fall - sleep in dens during winter months. 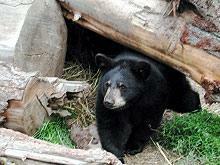 Black bear actually have a wide range in color from light blonde to cinnamon to dark brown to black. The color variation differs across the country, but in this area of the Rockies only 50% are black. They are excellent swimmers and tree climbers, possessing great strength for their size. These bears are omnivorous eating a diet of mostly vegetation & insects, but are often spotted feeding on road kill. They are also quite dexterous, able to open a jar or a latch. Black bears are a well-used subject in folklore from native American mythology to fairly tales. it was a battered, singed survivor of a forest fire that became the mascot of the US Forest Service - Smokey Bear. Occasionaly spotted along the National Scenic Byway in the mountainous sections, especially in spring. Beware! 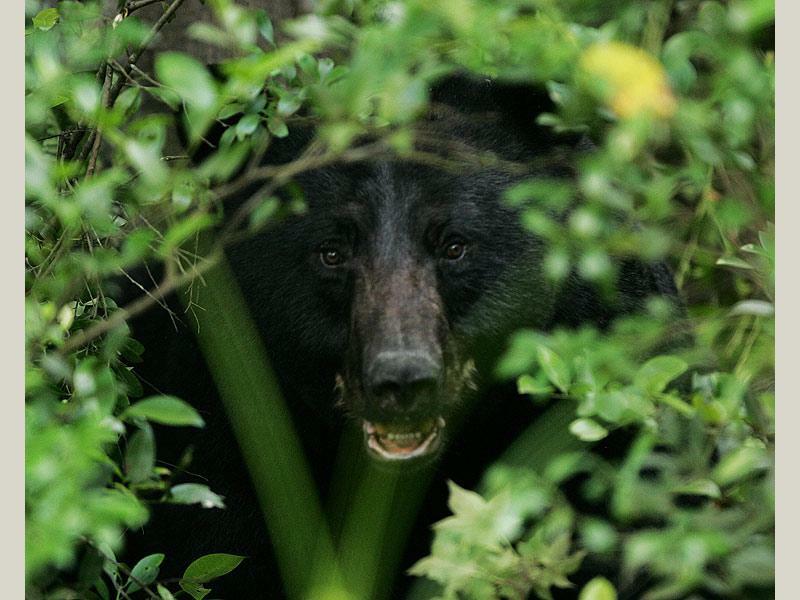 Spotting a bear at close distance may not be a good thing! Ursus americanus, large furry mammal 200-600 lbs. 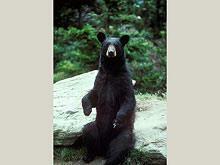 Thank you for visiting http://www.flaminggorgecountry.com/Black-Bear! Be sure and revisit flaminggorgecountry.com frequently for content updates and more.